New Delhi: The Apex Medical Council is now going to answer the question whether final year MBBS students be posted as interns at the public hospitals in order to ensure availability of healthcare services. The question comes in response to a clause of a healthcare bill that was recently introduced in Lok Sabha. It is reported that in December 2017, Member of Parliament Baramati, Maharashtra Shri Supriya Sule introduced a bill on Universal Health Coverage(Medical and Financial Assistance)Bill, 2017 in the Lok Sabha. The bill is aimed at providing health insurance and affordable health care services to all the citizens.It also provides for skilling of Women health care workers. 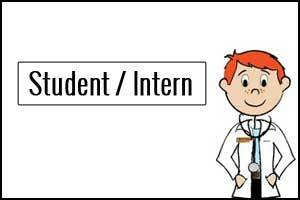 make provisions for permitting final year medical students to intern at the public hospitals. Pursuant to this, the Medical Council of India received a letter dated 23.01.2018 from Under Secretary, Govt. of India, Ministry of Health & Family Welfare, requesting that the same may be examined and comments of MCI thereon may be sent. Offcourse this bill will help to betterment of health system..but why final year student?? Govt should recruit more registered doctors by giving Good pay, protection facilities…. For a long time there has been a demand to increase the no of medical seats Had the demand been sanctioned this situation would not have come In the present structure the student is already under stress for an average period of about 7 years .Then only they secure a MBBS degree. Such an initiative would would put them under further stress and may be they themselves would become patients. This step is an utterly conceited step to further reduce and deprive the medical students and professionals.India needs more no.of doctors and the medical student should be given the right to study with peace It is a serious crime to pressurised them.Hence the move is to be opposed.